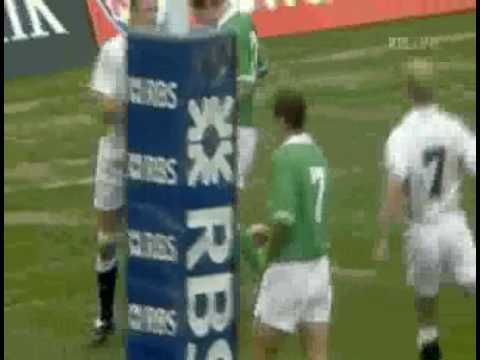 A round up of the Ireland v England fixture for the last 10 years. If history shows us one thing, it’s that when England win against Ireland, they win well. Forwards: 1-Cian Healy, 2-Rory Best, 3-Mike Ross, 4-Donncha O’Callaghan, 5-Paul O’Connell, 6-Sean O’Brien, 7-David Wallace, 8-Jamie Heaslip. Backs: 9-Eoin Reddan, 10-Jonathan Sexton, 11-Andrew Trimble, 12-Gordon D’Arcy, 13-Brian O’Driscoll (captain), 14-Tommy Bowe, 15-Keith Earls. Replacements: Sean Cronin, Tom Court, Leo Cullen, Denis Leamy, Peter Stringer, Ronan O’Gara, Paddy Wallace. The Underdogs? According to the bookmakers England will be favourites going into this weekends game. We all know anything can happen in rugby especially when an English team comes to visit. For many fans Ireland are unlikely to feel like the underdogs on home turf. PaddyPower are offering odds of 6/4 for an Irish win, great odds if your a believer! 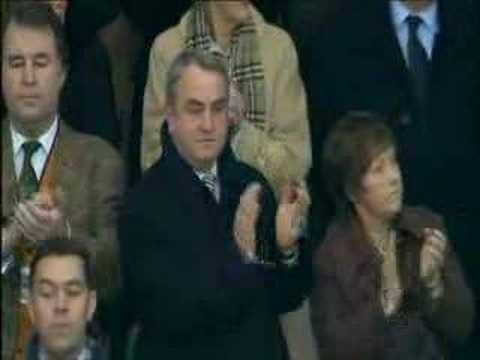 Historic moment at Croker even the referee can be spotted singing Ireland’s call at 3:43. This entry was posted in Six Nations, Team News. Bookmark the permalink. Just to say,yesterday match against England was outstanding.u played with such conviction,and ur team spirit was abundant with every pass being executed with precision.watch the match,and see the match from a supporters view,and nobody could deny that this was the best game of the tournament.well done Ireland,myself and my family are thrilled that you.left the tournament with your heads held so high.